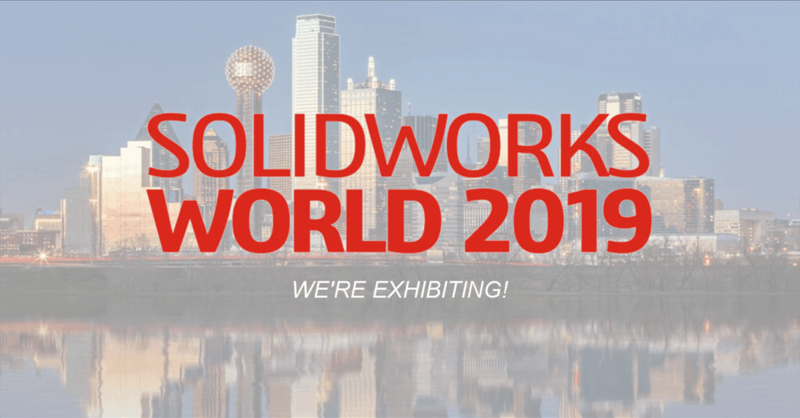 We’re Exhibiting at SolidWorks World 2019 in Dallas! Manage Parts Data and Find Parts Faster – Chat with us at booth #203 to learn about our seamless integration in SOLIDWORKS. Attending SOLIDWORKS World 2019 in February? If you’re going to learn how you can better manage your parts database and enable your digital enterprise, we’ve got a solution for you: seamless integration in SOLIDWORKS. Stop by our booth to meet our CEO Tim Thomas and Strategic Parts Management expert, Andrew Hood. Do you work with Maverick buyers? Maverick buying is frustrating for large manufacturing businesses. Neither the purchaser nor the engineer like it, yet it happens in companies across industries. Worse than that, it can cost millions in wasted time and revenue each year. It’s time to end the chaos around part search and classification once and for all. Our experts at SOLIDWORKS World 2019 will help you better understand what problems with your part database that are harming your overall productivity and sales. Then, they’ll discuss with you solutions to solving those problems. With seamless integration in SOLIDWORKS, engineers can easily search for and access parts, export models directly into their CAD system. Engineering can see purchasing data about the parts they have to choose from, including price and availability. Best of all, no more maverick buyers. How does PARTsolutions help you save time each day? By using the Strategic Parts Management platform, engineers work smarter, not harder. Engineers waste up to 45% of their workday searching for and recreating components. That totals 18 hours each week and 2,300 hours for a team of 25. Consequently, businesses lose millions of dollars each year. But with an intelligent parts management platform, design engineers can easily find the exact part they need in their PLM or ERP system. Take a look at the video below to better understand how PARTsolutions can impact your team and boost your productivity. If you can’t meet with us at SOLIDWORKS world, it’s not too late! Connect with our Strategic Parts Management experts to learn how you can save time and money while achieving digital enterprise.